How do I enter SafeHarborGames? Why do I get an Error 302 when trying to enter a lobby? Error 302 tells me you are trying to enter one of our rooms using AOL's own browser. There is a fatal flaw in their code that does not allow them to enter game rooms using technology similar to us. Try using any other browser - IE, Firefox, Chrome, etc. The AOL browser just doesn't work. We have written to them about it and have received no response. How do I do get a Full Screen Capture to send into SafeHarborGames? First, make sure you have what you want to capture visible on your screen. Hold down shift and press Print Screen, then release. Open up microsoft paint. Hold down the windows key and press R, and type mspaint and hit enter. Click on Edit and then paste. You should see a picture of your screen. Under File, save as a JPG on your desktop, and then close mspaint. Now, you can send that file in as a screenshot of your desktop. Find the screenshot as a .png file on your desktop and send that file in to us. Since we now default to a secure login, you may not see your previously saved usernames due to your browser settings. We strongly recommend you see the secure login on https, turn on your browser's save usernames and just take the time to login one more time to save them again. If you insist on going back to the old less secure http:// address, then please click here, download and run this install. It will create a separate line "Old Link to SafeHarborGames" that will take you to the old username list. I upgraded to Windows 10, and I need to change my screen resolution? Right mouse click and in the popup menu, left mouse click on Display settings. First, check the setting under "Change the size of Text, apps, and other items. Make sure it is set 100% and nothing bigger. Make sure that it is set at 100 and not some number higher. If you changed it, click on Apply and then click on the Back arrow in the upper left. Right below where it says Resolution, click on the dropdown, and pick a set of numbers higher than what you have now. If you change it, click on Save Changes. NOW... You need to shutdown and reboot your pc for the changes to take effect. This is due to an issue with your internet service or drivers that need to be updated on your pc. You should look into replacing them to stop this issue. * Read all the instructions first before proceding. * Click on this link to download this install, pick RUN to run it. Welcome to the Google "I know better than my users" what is acceptible for browsing! To fix this, clear out the address bar and type in "chrome://plugins/" without the quotes and hit enter. Look for Flash, and check the box next to "Always allow to run"
How do I get my browser to remember my nicks when I login? You must change a setting in your web browser that is set to remember what you typed in a login box. Click on Tools, Internet Options, then click on the Content tab. Click on the settings button under Autocomplete. Check the username checkbox, and click OK.
Click on Tools, Options, and then click on Security at the top. Check Remember passwords for sites and click OKay. Close all lobbies and windows to SafeHarborGames or one of its games. Open your My Documents Folder or Documents folder (depends on the version of Windows you have). Open the Safe Harbor Games folder. Depending on the game, open the corresponding folder. For example, if you are having trouble in Backgammon, open the Backgammon folder. Find a file ending in .cfg and delete it. If you do not see such a file, close that folder, go to the Safe Habor Games folder, and delete the whole Game Folder. Again, for example, if you are having trouble with Backgammon, delete the Backgammon folder. I have no sounds on my computer! - How do I fix this? 1. Hold Down Windows logo and press R key. 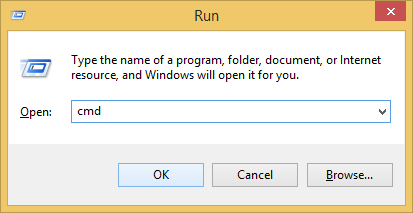 A Run dialog box will pop up. 3. In right Services Window, find Windows Audio from the â€œNameâ€� list and right-click on it. Click Restart in the pop-up menu. Then the audio service will restart. I checked do not run SafeHarborGames in Google Chrome by mistake - How do I fix it? Close your Google Chrome. It's critical that Chrome is NOT RUNNING when you make this change. Open Task Manager and stop any Google Chrom processes first. 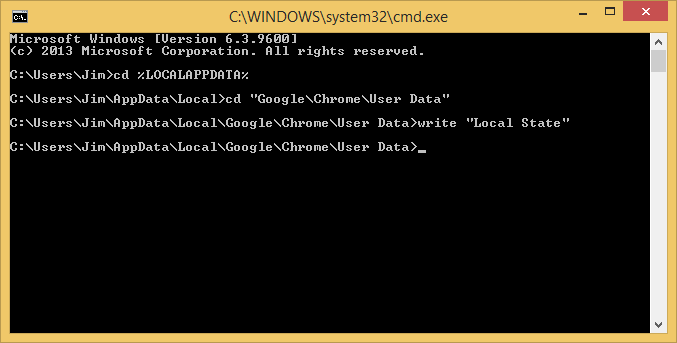 Go to this location C:\Users\Your Windows username\AppData\Local\Google\Chrome\User Data\. Right-click on file Local State and then choose Open with. Choose Notepad to open the file. Look for the word â€œprotocol_handlerâ€� where you should see a list of applications. Please remove all these lines which contain the word safeharborgames and save the Notepad. Now, Google Chrome will prompt you for confirmation each time you open a link. Have you used the Control + F functionality to find the 'protocol_handler'? If this doesn't help, I suggest you uninstall Chrome and install using alternate Chrome installer and check: Go to the Windows Task Manager and close everything that has to do with Google and Chrome. Uninstall Chrome and try Google Chrome alternate installer which allows you to install Chrome while being offline. Click here to get the alternate installer. You try to enter a specific room and get a SafeHarborGames error, but can enter other room. First close any lobby windows. On your desktop, click on the Windows Icon/Start button in the lower left part of your screen. Scroll down to SafeHarborGames and click to open. Look for the SHG Clean Registry option and click it. If you do not see the option for SHG Clean Registry, go to our homepage, click on Downloads and download and run the install for our latest version of our software, and then repeat the steps above. How do I get all those names to stop showing in a list when I try to login? This is due to a setting in your web browser that is set to remember what you typed in a login box. To remove the list altogether, you can do the following. Please realize, that the all the names on the list are removed, but you can still type them in. Uncheck the username checkbox, and click OK.
Then CLick on Settings button under Autocomplete again, and recheck the username box. Uncheck Remember passwords for sites and click OKay. Repeat, and recheck the Remember passwords for sites and Click Okay. How do I get Keyboard Express to work with Windows 8? This is due to the new and challenging permissions, as well as the new Graphics set up in Windows 8 by default. Instructions below (Thanks to our staff for their investigation on what to do). First we turned off the UAC to never notify to do this. Again reboot to save all changes just as a precaution. How do I run SafeHarborGames on Linux? Seems to work in Wine in Linux. When prompted to install flash player, accept. When prompted for what application to launch with, click the Choose button, browse to the directory where harborgames.exe is located, and choose that. The first time you do that, it will download the games. Wait for the game to load. It takes about 20 seconds. On my Windows 8.1 pc, using Google Chrome, nothing happens when I click on the room link. The latest versions of Google Chrome have changed how they handle protocol links, and caused a problem with any game site that uses that type of link. It is a known issue. Here is the fix, but please read everything carefully before proceding and make sure you understand what it is you are doing. Safe Harbor Games holds no responsibility for any issues with your Google Chrome Browser. We are simply trying to show you a way to fix the problem. Here is what we suggest you do. NOTE THAT THIS IS A FIX FOR WINDOWS 8.1 PC's only. Close Google Chrome completely. THIS IS CRITICAL. Make sure Google Chrome is not running while you are making these changes, or Chrome will wipe them out the next time you restart Chrome. In Desktop mode, open a command line by holding down the Windows key and pressing R. Type in cmd and press enter or click on the OK button. A black command line window opens. and press enter. 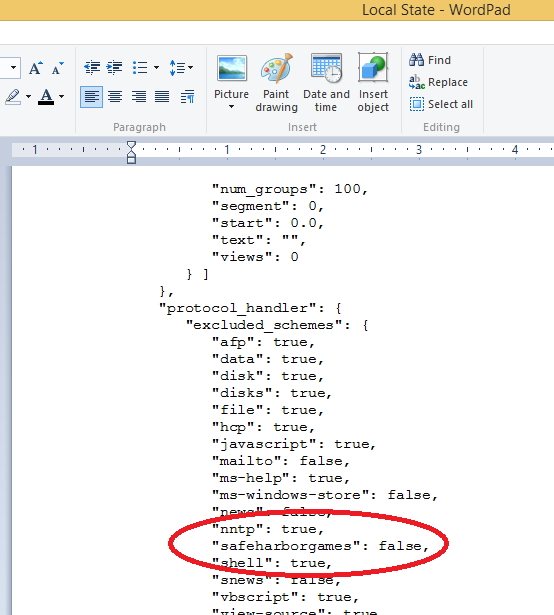 This will change your directory to Local AppData directory. and press enter. Now you must open an editor program to edit Chromes configuration. After saving your changes, close the editor, open Chrome and try to enter a room. If you still have a problem, redo the steps above, and make sure that your changes are still there. If they aren't, then start over, making sure again that the Chrome browser is not running on your PC. * Do a right mouse click on the SHG Win8 msi link. If you get a 302 Redirect error when you click on a room link. You are using the AOL browser, which has a known defect in that it no longer handles these kind of links. The only solution is to use another browser. Either the desktop IE, or another webbrowser (Firefox, Chrome, etc). If you click on a room link, and other program windows open, instead of entering a room. You have Firefox configured wrong for our site. Here are the steps to fix it. First, make sure that you have gone to our download page on Safeharborgames and downloaded our software and installed. If you are successful, you will have a SafeHarborgames icon on your desktop. If you don't then you need to download and run the install first. Double-click on the Safeharborgames icon on your desktop. This should open firefox to our homepage. Now, on the Firefox menu at the top, click on Tools, then on Options. Click on the applications tab at the top, and scroll down the list till you see safeharborgames on the left. To the right of that, click on the dropdown, and then click on Use other. Now, if you are using Windows Vista, Windows 7 go to C:\Program Files(x86)\Safeharborgames. Restart your browser and now try to enter Safeharborgames. If you are on Vista and you don't see the ratings, or player's status when mousing over their username on the right side of the window. With the safeharborgames page open in your browser, click on Tools in your browser, and then Options. Click on the Security Tab, and then click on Trusted sites. Click on the Sites button, then add www.safeharborgames.net to the list, and save. Click OK and OK to get out of Options. Refresh your webpage, and click on the room link now. If you have Windows Vista, and have problems installing or entering a room. If the game runs unusually slow, try turning off hardware accleration. Right mouse click on a blank area on your desktop and click on properties. Click on the Settings Tab at the top. Next to Hardware acceleration, if the slider is to the right next to Full, slide it to the left to None. Click on Ok, then on OK again. NOTE: Some graphics cards may blank the screen for a second as it changes modes. This is normal. Why can't I see the clock on the Game and Tournament page? You need Adobe Flash Player to run. Check your browser settings for add-on's, and make sure Flash is enabled. Using the slider, changed your security to Medium-High or Lower. Do not set to High. Click Apply, then OK. Refresh your browser page, and go to either the Games Page or Tournaments. If you are seeing transparent cards in your card games. Increase your colordepth to 32 bit. Click on a blank area on your desktop. Down Below, under Color Quality, use the Select box and pick 32 bit. You receive "Error 2203 when installing our software on Windows Vista or Windows 7. Click the Windows menu button (formerly the Start button) or press the Windows button on the keyboard. In the Start Search box type Services and then click the Services item that appears at the top. Expand the Services window and then scroll down to Windows Installer. Right-click the Windows Installer list item and then click Stop, right-click again and then click Start. In the Start Search box type %temp% and then click the Temp folder item that appears at the top. At the top of the Explorer window, in the address bar, click the folder to the left of Temp in the folder path (Local by default). In the folder list, right-click the Temp folder and then click Properties and then click the Security tab. Click the Edit... button and on the next screen click Add. On the next screen, in the large text window type Everyone and then click Check Names - Everyone should then be underlined. Check the box for Full control under the Allow column, and then click OK, then OK again, and OK again to close all the windows.